NEW YORK CITY – April 9, 2014 – Corkket.com, a native Bitcoin person-to-person e-commerce platform, is beta launching in New York City on April 12, 2014. Corkket is making local transactions simpler and safer for individual sellers by implementing a natively built-in Bitcoin or USD escrow service. Corkket’s beta launch will happen in New York City. Corkket will be in Union Square on April 12th from 10am to 7pm to hand out QR codes that people can redeem for milliBits. The first 1,000 users to sign up with the QR code will get a free milliBit, with two randomly selected individuals receiving a full Bitcoin. your email. After the item is traded for the QR code, the seller scans the QR code to complete the transaction and get paid. There’s no need for buyers or sellers to personally carry cash or credit cards; the entire transaction happens within Corkket. Corkket’s intuitive user interface optimizes for local searches. The items physically closest to your location are displayed first. This allows you to browse for what is in your building, on your block, or in your city to a high degree of accuracy. Customized personal profile pages allow local businesses to create Bitcoin-ready online storefronts with escrow services natively built in. Using responsive website methodologies, Corkket works natively with your desktop, smartphone or tablet, on iOS, Android, or Windows. people. 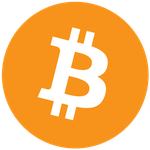 As longtime Bitcoin enthusiasts, they knew Bitcoin is ideally suited as a payment method for privacy and security conscious users.